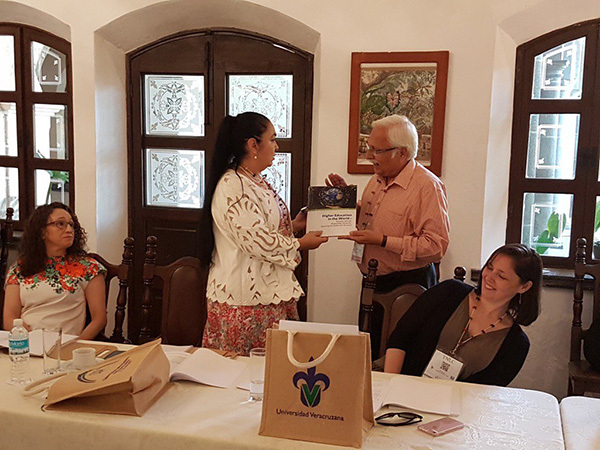 The Talloires Network Leaders Conference was held from June 21-23, 2017 at Xalapa, Veracruz, Mexico. 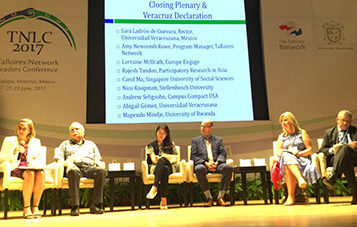 The conference was centered around the theme ‘Social Responsibility and Human Dignity in Higher Education Engagement’ and envisioned the future of ‘engaged universities’. 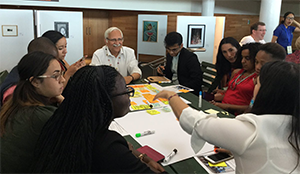 This influential gathering of higher education leaders from all regions of the world charted the next stage of the growing university civic engagement movement. 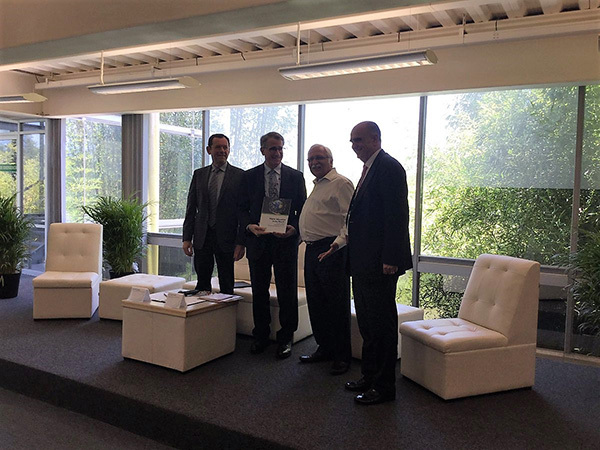 As a member of the Talloires Network Steering Committee, Dr Tandon along with other members signed the Veracruz Declaration on June 20, 2017. 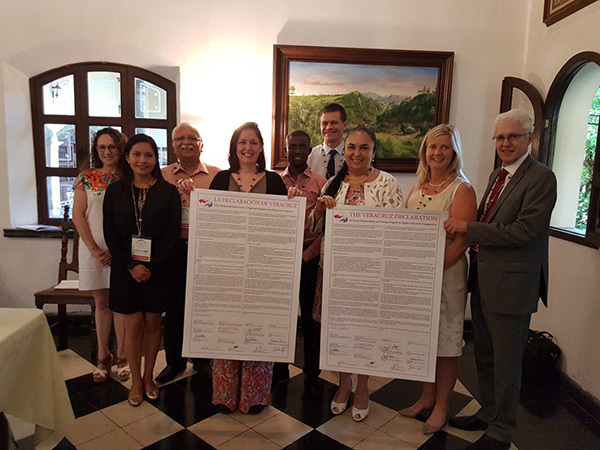 The declaration is written in collaboration by global university leaders, students, and community leaders, and signed in Xalapa, Veracruz, Mexico at the Universidad Veracruzana after a participatory process to gather input and feedback. 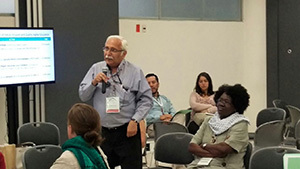 Dr Tandon, in his capacity as the member of the editorial team of the 6th GUNi World Report on Higher Education (titled, ‘Towards a socially responsible university: Balancing the global with the local’), presented a copy of the report to Dr Sara de Guevara, President, University of Veracruz, at the Talloires Network Steering Committee meeting, on June 20, 2017. 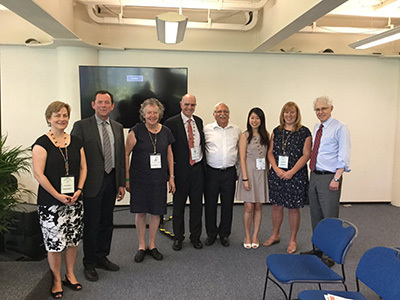 The UNESCO Chair in CBR, in association with the University of Victoria, Canada hosted a session on ‘Knowledge for Change (K4C) and Social Responsibility in Higher Education’ on June 22, 2017. The session was facilitated by Prof Jamie Cassels, President, University of Victoria, and Dr Rajesh Tandon, UNESCO Co-Chair. 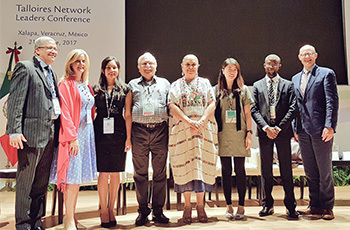 This session announced the creation of a global Knowledge for Change (K4C) consortium, a partnership between UVic-PRIA under the leadership of UNESCO Chair. K4C is anchored in the contributions of higher education to the achievement of Sustainable Development Goals (SDGs). The event also witnessed the signing of the MoU between PRIA International Academy (PIA) and University of Victoria (UVic), for taking the K4C initiative forward in different parts of the world. Many of UNESCO Chair’s & UVic’s partners & friends attended the session, and expressed their solidarity with the K4C initiative, including Prof Andrew Petter, President, Simon Fraser University, Canada, Dr Carol Ma, from Singapore University of Social Sciences, Dr Anthony P Monaco, Chair, Talloires Network, among others. At TNLC, Dr Tandon also spoke on ‘Social Inclusion, and the need for systemic changes in the University system for addressing inequality & injustice’. The session was attended by a number of participants, which included faculty, students, higher education network leaders etc. Further to this, Dr Tandon also engaged in passionate & energetic dialogues with students from around the world. On the last day of TNLC 2017, Dr Tandon along with other speakers participated in a panel discussion on takeways from the conference. The session provided an opportunity for the delegates to synthesize learning’s from the conference and strategize ways forward. 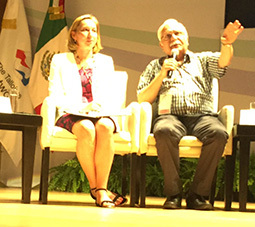 Key messages from the session invoked Highr Education to focus on systemic causes of poverty, inequality, exclusion. Another message that was shared was that ‘engaged teaching, engaged research & engaged service’ was required for transformation of higher education & higher education structures. 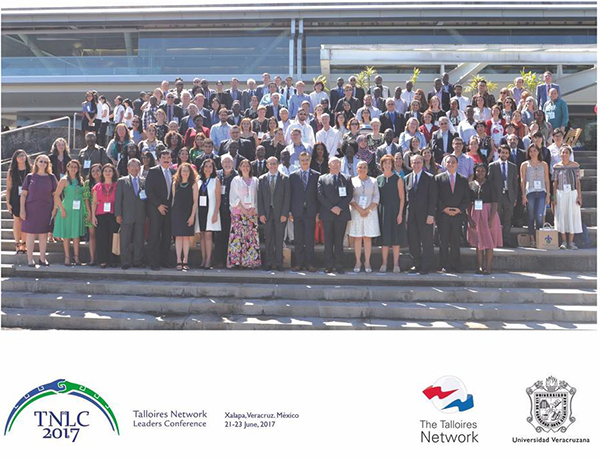 TNLC 2017 closed with hopes, aspirations for a socially responsible higher education, contributing to a better future, in sync with the UN Sustainable Development Goals.